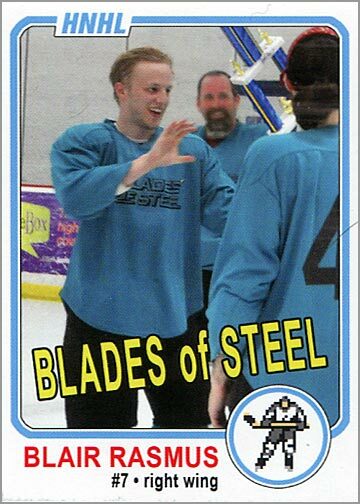 Seeing that I am a hockey card collector, graphic designer and recreational hockey player, it was only a matter of time before I created custom hockey cards of myself and my teammates. And they came out awesome! 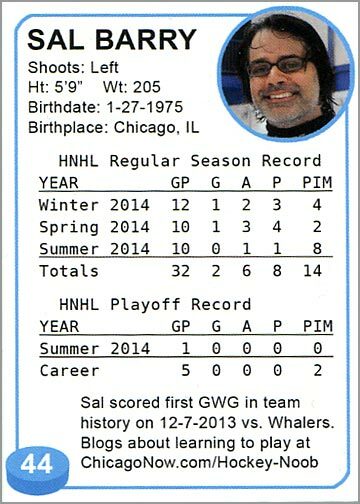 I had the cards produced by My Hockey Trading Cards, a company that prints custom cards that you create. The quality of these cards is top-notch. 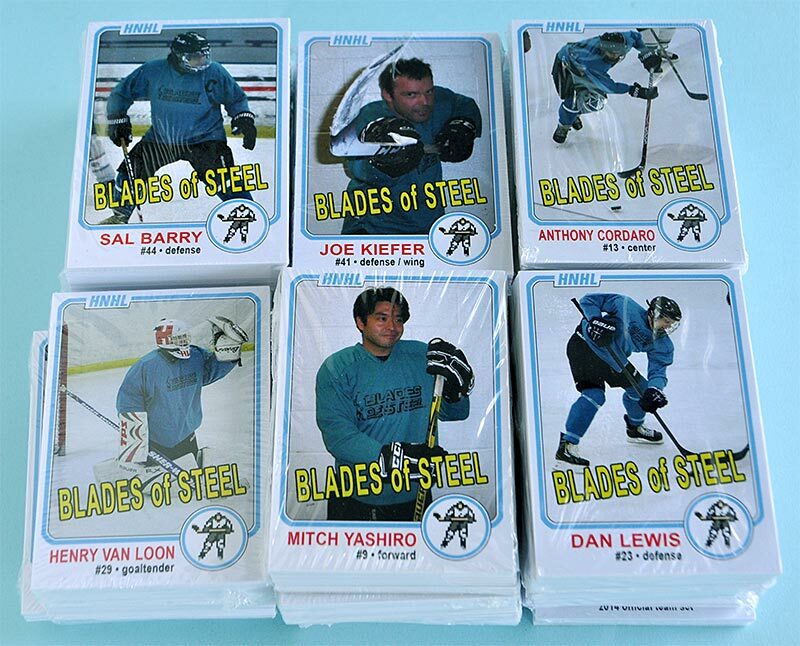 They are glossy on both sides and about the thickness of a modern Upper Deck trading card. 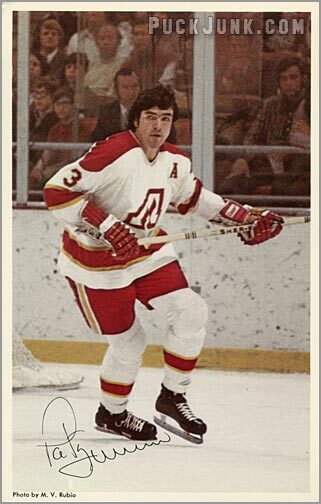 A few years ago, I used their services when I designed a card for Paul McIntosh, a Buffalo Sabers player from the 1970s who never had his own card. While MHTC has many templates you can chose from, I preferred to go with something a little more retro. 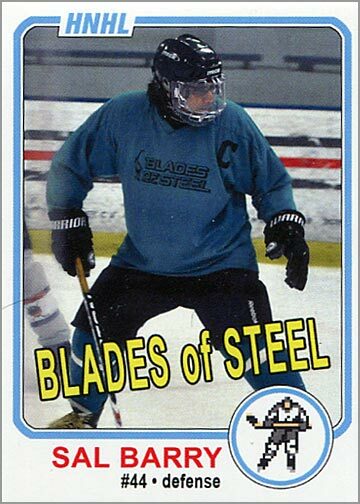 Most card collectors will instantly recognize that I cribbed the 1981-82 Topps Hockey design for my Blades of Steel trading cards. 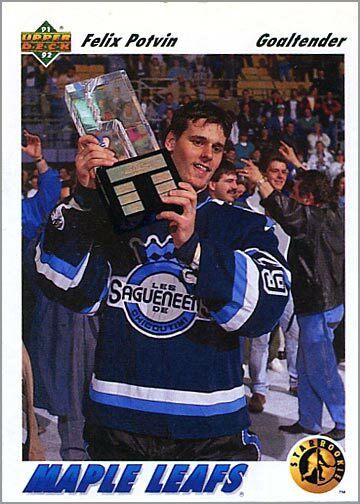 Elements that I love about this design are the border, with its rounded corners, and the team name “stamped” diagonally across the bottom of the photo. 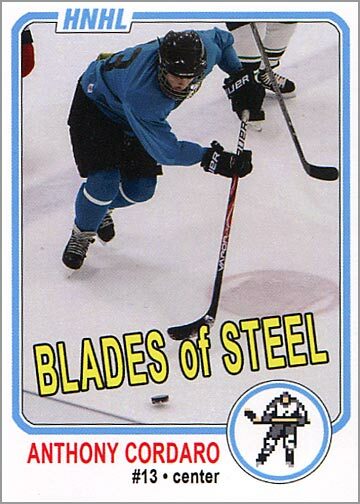 I also like that the Topps logo is integrated into the design. 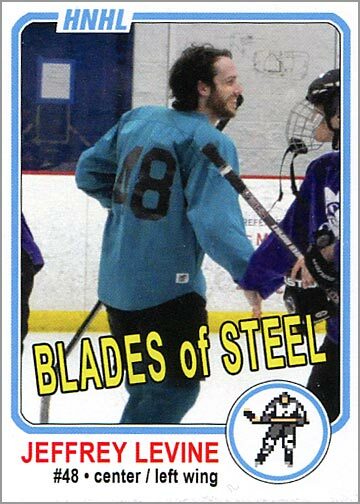 Here, I replaced the Topps logo with “HNHL,” which stands for Heartland Novice Hockey League, the beginner-level hockey league that we play in. 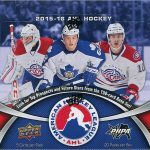 I always loved how minor league team sets had a logo card, so I decided to make one for our team set too. However, I did not want to put a checklist on the back. Checklist are lame. 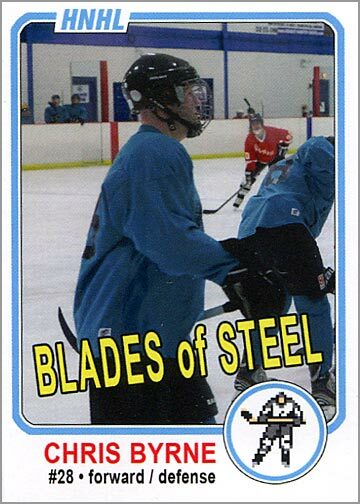 Instead, I put a team photo on the back of the logo card. 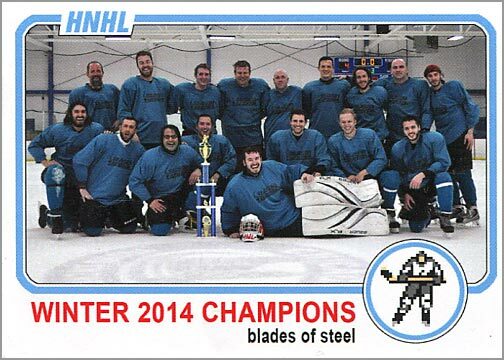 Here’s our team after we won our league’s inaugural championship back in March. 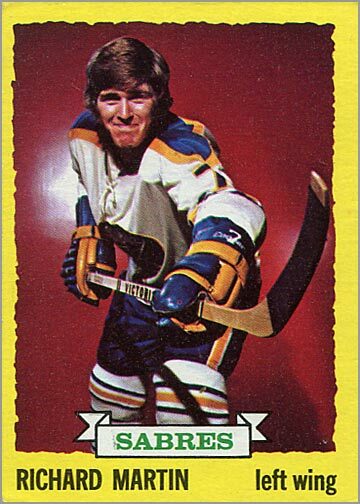 I love cards like these in old sets because they capture a moment in time and you can see the pure joy on the players’ faces. 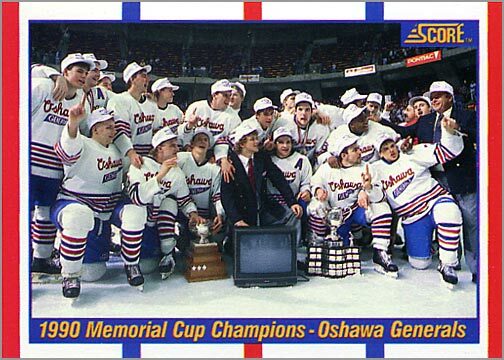 Just look at how happy the Oshawa Generals were to win a TV back in 1990. 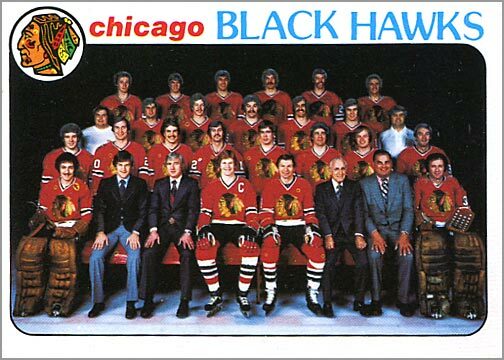 I also love how 1970s sets had team photo cards. 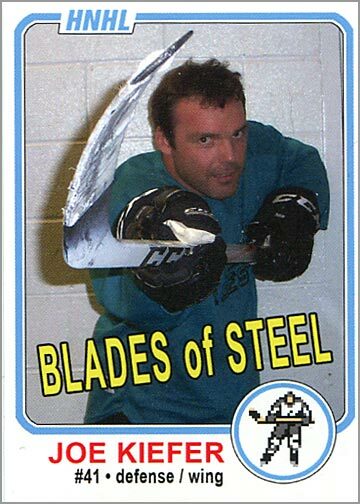 I wish team photo cards were included in modern sets, so I really had include one in my Blades of Steel set. 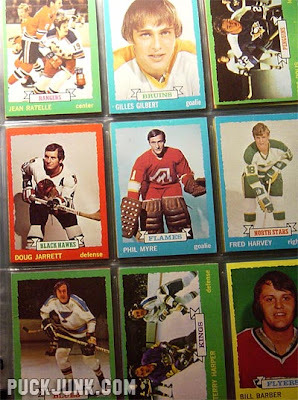 Here are some of the other cards in my team set that I am fond of. The only photo I had of my teammate Blair was of him about to receive our league championship trophy. 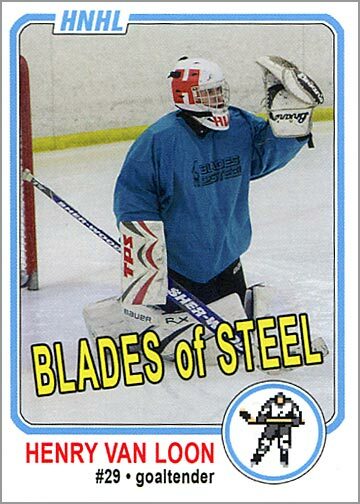 His card reminds me of Felix Potvin’s 1991-92 Upper Deck card. Here’s a good photo of two of my teammates doing a high-five after a goal. 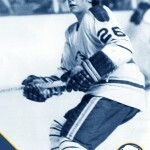 A shot of my teammate Anthony chasing down the puck. Anthony and I started taking hockey lessons together last summer, and now we are teammates. 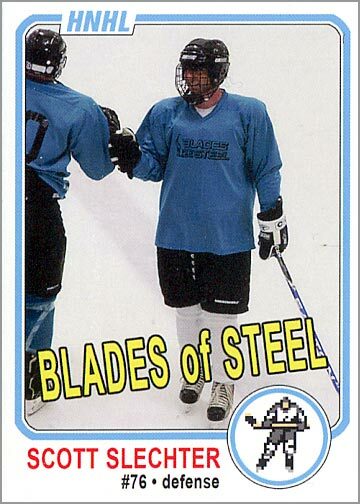 This was the only “on-ice” photo I had of this teammate, who is shaking hands with an opponent after a game. Not an action shot per se, but I still like this picture because it shows the good sportsmanship exhibited by most rec league hockey players. 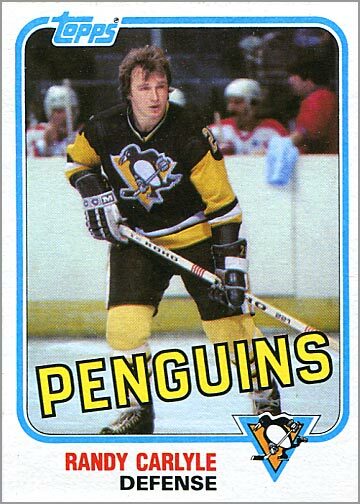 I like this picture because it is ice-level. You can see teammates on the bench and an opponent in the background. 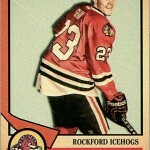 I do wish that Chris’ head was turned more towards the camera, but this is still better than a lot of 1980s cards. 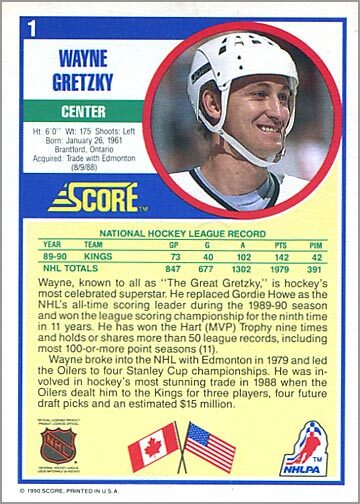 It might seem silly for a bunch of grown men to want their own hockey cards — and I will freely admit that I was the ringleader in this little endeavor — but most of the guys on my team were psyched about this project; all were supportive. Looking at your personal PIM totals, though, it seems someone needs to drop the gloves once or twice! Your cards look really good. 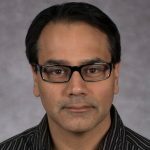 How did you produce the old OPChee templates? Thank you. I used a program called Photoshop to make the card templates.